Welcome to the Manoir de la Pommeraie ! In Roullors, in the heart of the Vire bocage. 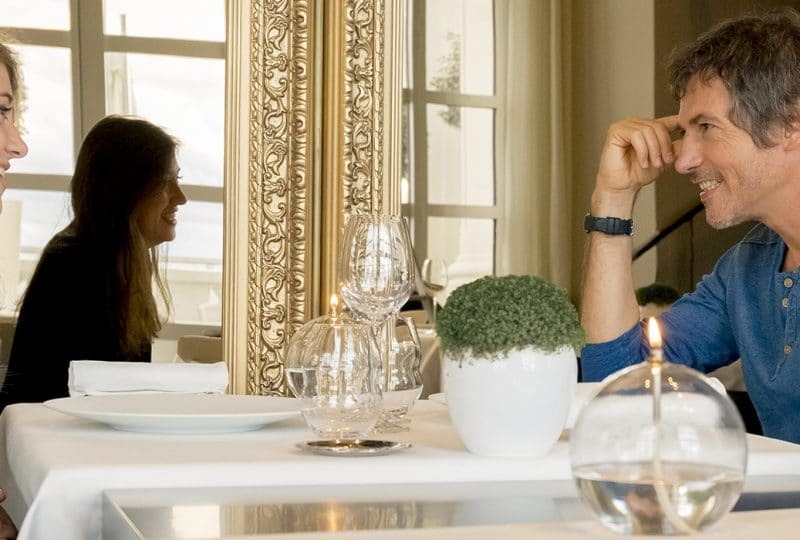 The restaurant's 'master chef', Julien Guérard and his wife Masako, pay tribute to Normandy's local produce in each and every one of their dishes. And here, he is happy to unveil a few of his 100% Calvados recipes. 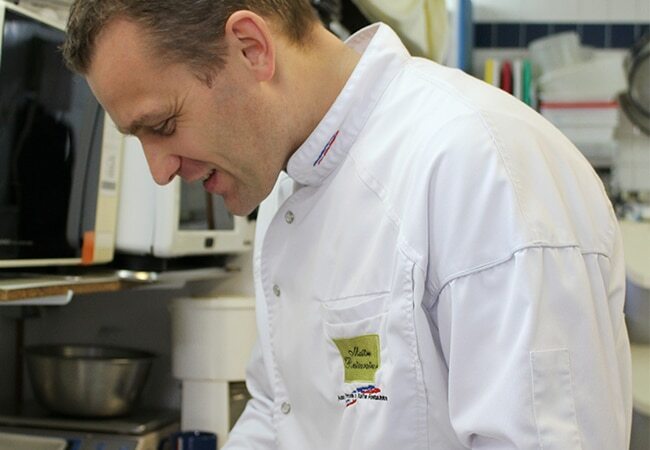 Julien Guérard, a chef in questof excellence. 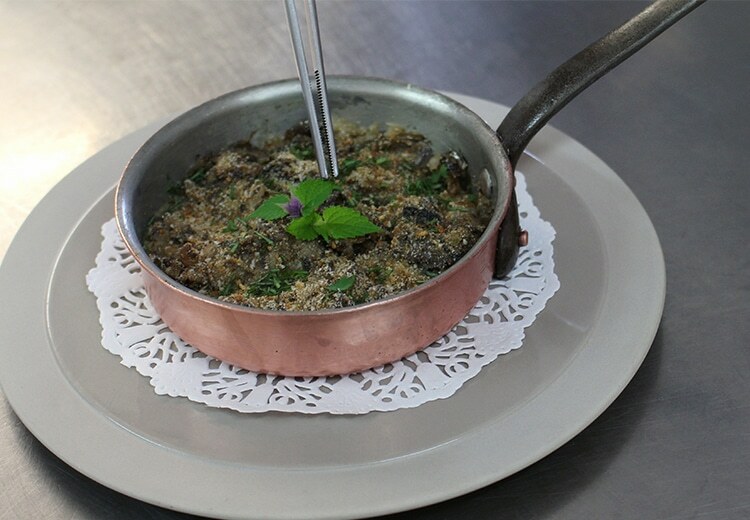 Starter: Snail and mushroom casserole with crème fraîche. He buys his snails from the Odon farm in Saint-Georges-d’Aunay, the mushrooms from Creully and the crème fraîche from Stéphane and Jean-Baptiste Langelier in Roullors. Main dish: Fast fried scallops, saffron-flavoured coral cream, rich butternut, cream of watercress. 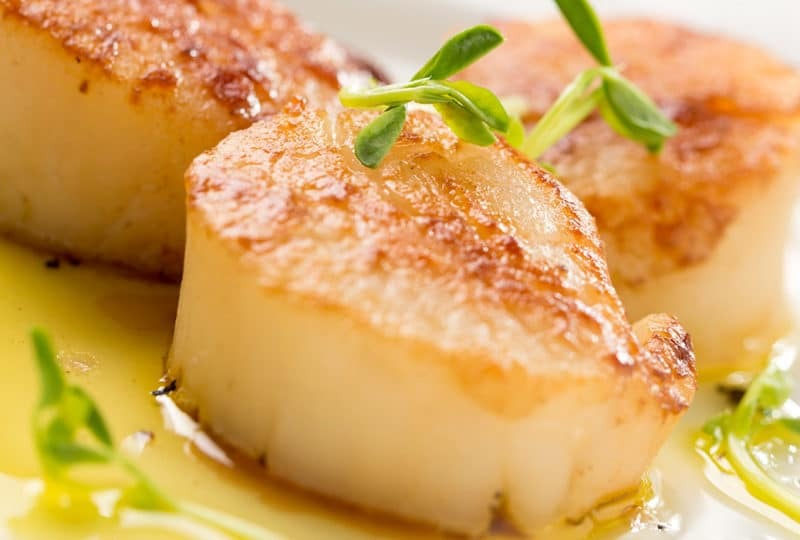 Cuisinez la coquille comme un chef ! Livarot from the Maison Graindorge dairy in Livarot, anise hyssop and pumpkin from the Manoir de la Pommeraie and pears from La Crête de Fontenay in Fontenay-le-Marmion. 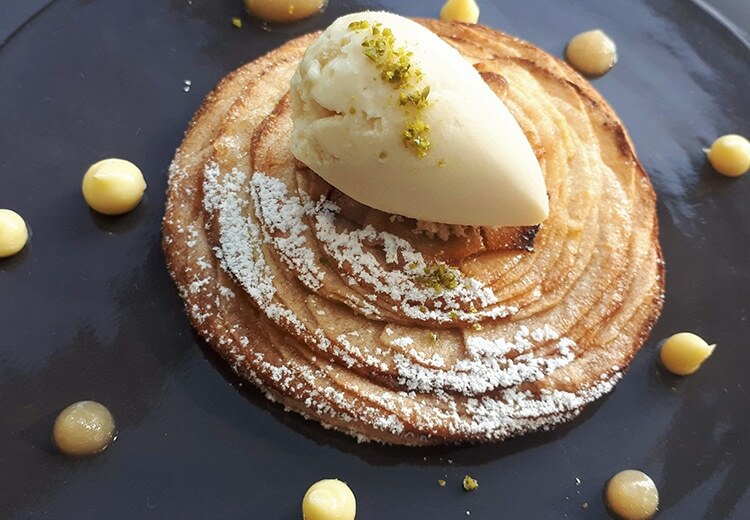 Dessert: Fine apple tart and yuzu cream, cinnamon ice cream. The apples come from La Crête de Fontenay, in Fontenay-le-Marmion, cream and butter from the Sénéchal farm in Vassy, eggs from the EARL 4 Saisons in Souleuvre-en-Bocage.